3.It good at quality and reasonable in the price, the hot salling in our market. 3. When the desired result reach, rinse out with water. 4. please not to use on the injured or the sensitive skin. DAH CHUAN INTERNATIONAL CO., LTD. STEP 2 CHOOSE COLOR &middot; Confirm client's expected hair color, and choose the color from the color reference board. STEP 5 &ndash; RINSING &middot; Rinse the dye thoroghly with warm water. STEP 6 &ndash; AFTER COLORINGG &middot; DO NOT COLOR AGAIN FOR ONE WEEK. Guangzhou YG Trading Co., Ltd.
hair bleaching powder blue ( bleaching powder for hair ) The powder can be in blue, white, purple or green; We use plastic bag or aluminum bag to pack powder; Bag of powder is packed by tin, plastic tub or color boxes; Bag of powder is usually packed by drums ( buckets) or strong boxes. Main Markets to use this kind of powder: Germany; UK; Australia; New Zealand; Switzerland; Netherlands; Denmark; US; Malaysia Features: &bull; Ultimate lift, can lift to Level 8 in the room tempreture. &bull; High cost-performance, so that you can have a great profit margin by selling or distrituting our bleaching powder &bull; Safe and anti-humidity formulation &bull; Adheres smoothly and penetrates evenly &bull; No heat released while oxidation &bull; Consistent results &bull; Leaves hair in great condition &bull; Favored by E.U. The dust-free formulation takes a healthy bleaching. When the desired result reaches, rinse out with water. The product must not be used for dyeing the eyelashes or eyebrows. 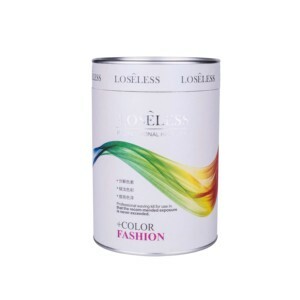 Guangzhou Bolesi Cosmetic Co., Ltd.
ammonia free anti-dust magic hair bleaching powder Features: Professional hair bleaching product,ammonia free formula,least damage to hair,anti-dust,anti-humidity,faster fading than normal bleaching product,perfect consistent results. Usage: Take moderate amount with developer at the ratio of 1:2,mix evenly,then apply onto hair,wait for 10-20minutes,rinse hair with luke-warm water. ,Ltd specialized in the manufacture of all kinds of hair care products with more than 15 years factory experience,covering the area of hair coloring,hair perming,hair styling,hair caring,hair washing. With GMP, GMPC, and ISO guideline and years of professional hair care and body care products manufacturing experience, Colornow Cosmetic Limited has strong confidence in providing high quality products with competitive prices. With GMP, GMPC, and ISO guideline and years of professional hair care and body care products manufacturing experience, Colornow Cosmetic Limited has strong confidence in providing high quality products with competitive prices. Our Canadian factory is dedicated in the development and production of our high end products, which gives our clients an alternative for Made-in-Canada products. It the Conditioning Bleaching Powder out of stock, a normal delivery time will be within 15 days after 30% deposit is paid. When can I get the price 9 Every quotation will be replied within 24 hours after we get your inquiry. Normal manufacturing lead time of our product will be given on the product information page. 2.Applying the mixture to hair evenly and spreading the contents directly. 2.please wear the gloves to apply it 3.keep out of reach of children. 4.perform a shin allergy test 48 hours before each use of this product. Guangzhou YICAI Cosmetics Co., Ltd.
Ammonia free hair bleach powder for color hair We focus on production and research bleaching powder more than 10 years. Including some famous brands will cooperate with us Many wig factories will also buy from us long time. Erios cosmetics has strong confidence in providing top quality products and most competitive price. [ 1 ] Medida de GoCare Emulsi&oacute;n oxidante en crema. Use en una habitaci&oacute;n ventilada , use siempre guantes adecuados. Mantenga el producto en un lugar seco y un lugar fresco . Q1: Are you a factory or trading company9 A1: We have our own factory. Q4: How does your factory do regarding quality control9 A4:Quality is priority. We always attach great importance to quality controlling from root to the end. Cangnan Baokee Industry Co., Ltd.
Guangzhou Becca Cosmetic Co., Ltd.
Alibaba.com offers 1,588 hair bleaching powder products. About 79% of these are hair dye, 2% are hair treatment, and 1% are face cream & lotion. 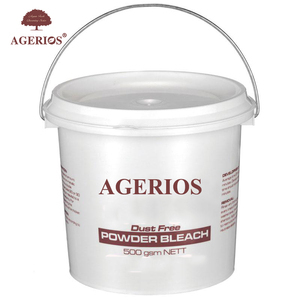 A wide variety of hair bleaching powder options are available to you, such as spray, cream. You can also choose from free samples. 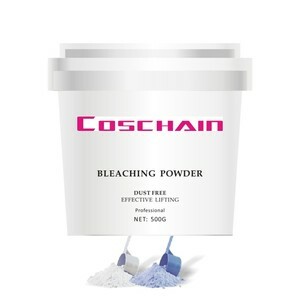 There are 1,560 hair bleaching powder suppliers, mainly located in Asia. The top supplying countries are China (Mainland), Turkey, and India, which supply 95%, 1%, and 1% of hair bleaching powder respectively. 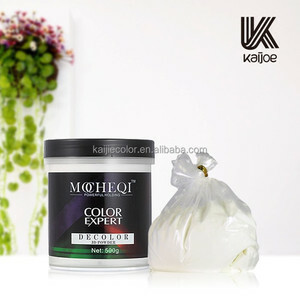 Hair bleaching powder products are most popular in Domestic Market, Southeast Asia, and North America. You can ensure product safety by selecting from certified suppliers, including 599 with GMP, 312 with Other, and 294 with ISO9001 certification.